We are happy ThemeForest customers: building web sites and application in the WordPress framework, ThemeForest is a useful repository of themes. We too wanted to create a custom theme for game’s sites, and as a step in this direction, we started creating an HTML template. We want it to be responsive, based on Bootostrap, and provided with Pupunzi’s components. We put together what we thought was a beautiful template, My Game, and we were almost sure that it would have been approved once submitted. After all, making websites is our job since the beginning of the web. Our plan was first to place in the Themeforest market a package of HTML templates focused on facilitate the development of websites dedicated to games and then realize a WordPress theme based on those templates. We were so happy and gratified by the good work we had done and after some final revision to make the templates work even on IE9 it was the time to submit it to the market. After a week from the first submission we received an email from the Envato team saying that our theme was rejected. No motivations or explanation for that decision. Simply “rejected”… In Envato speech, it was “hard rejected”. What is wrong on the work we did? That response has forced us to think on what could have been the cause. We looked at our work from the user perspective trying to figure out if the theme we were proposing was satisfying his / her needs. Moving the point of view from developer to end user we discovered so many things that we were omitting to make the theme adaptable to different uses cases. Who is looking for a good HTML theme to buy is probably someone with no skills on design and HTML developing; they want a complete solution adaptable to their needs and easily configurable. The theme should offer a variety of elements and tools to cover almost all the scenarios. When we did the first submission to Themforest we packaged a theme with 4 page templates: 2 different homepages, 1 press kit page, 1 general content page. We thought that those could have been enough and that starting from those anyone could create another page type. No. We were wrong! As previously mentioned, who is going to use your template may have a really basic knowledge of HTML coding and design capabilities, If you don’t provide a good variety of layouts, of styled elements, of pre-composed solutions they will be lost. Create a theme based on the Single Page Site concept where all the needed information are available in a single page one above the other. Create an exhaustive number of page layouts focused on the possible needs your target users have. The first case is of course the simplest as everything is defined into one page but anyway you should consider to give different solutions for the content disposition and for widget behavior. The second case requires more work but gives a more consistent perception of the quality and accuracy of your theme and probably reach more attention in the market place. And it can include a single page site solution as well. By layout we mean the way contents are displayed and positioned on the page. Creating your theme for the market you must consider that the end user should not enter into the details of how the elements renders in the page on different screen resolutions and different devices. your theme should guarantee the correct display of any used and styled element in the page itself. One mistake we made working for the first submission of My Game is that we styled only the elements we used for our demo forgetting all the common element a user could use for his site. Headers, quotes, form elements, buttons, lists, images, labels, box, head-line, captions, column text and many other HTML elements should be ready to use on your theme without any bad surprise. The design is what can give your theme the uniqueness and that can make the difference. That is true… but for a theme the most important thing is that it should be adaptable to different solutions; not just for the one you are imagining. Keep it simple, work on details. Of course the design you are proposing is probably the first thing considered for the purchase and the way you are solving the layout solutions via the design is the signature of your creativity but that should never prevaricate the readability of contents, ease of navigation and ease of use. You should offer different widget ready to use as for example photo galleries, header sliders, video players, tabset, popup windows, animated rollovers, masonry wall and so on. Especially for a theme dedicated to a specific intent it is important that all the peculiarities of that sector are taken into consideration to offer solutions readily applicable from the end user. “Any fool can write code that a computer can understand. Good programmers write code that humans can understand. (M. Fowler)”. The code you write should be clean and simple; the end user should be able to understand which part do what; should be able to copy and paste parts of code to make his custom solution and everything should work. Writing a well explained documentation is as important as the design is. Everything you did in the code must be clear to the user and if you explain how to obtain a layout or how to create a special element using your code that would be really appreciated. Publishing a new theme on the Themeforest marketplace is hard! We are used to work for clients, making sites from well-defined prerequisites and with a definite purpose. In order to create a theme that is able to adapt to different solutions we have to change the point of view and imagine what the end user wants to realize based on what we are offering him. I am writing this article mostly to remind myself what must be considered to get a product that not only is effective but also useful and complete. I hope my considerations are helpful for anyone trying to make a theme that can be usable and effective. P.S. 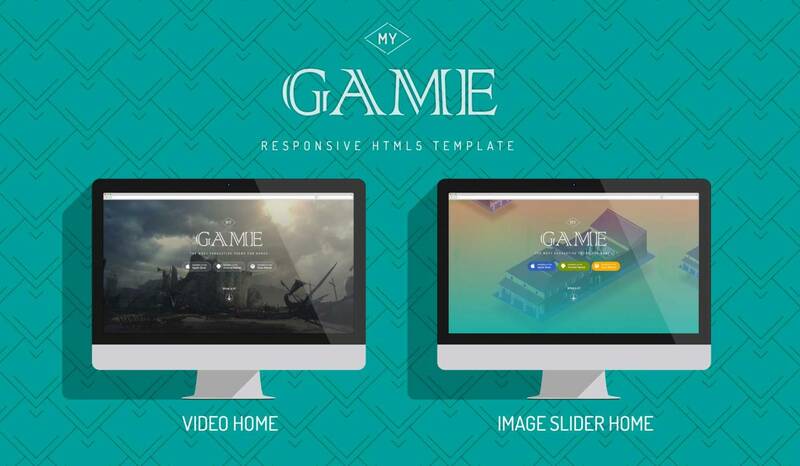 : The My Game Theme, at the time of writing, has not yet been resubmitted to ThemeForest :-); we are working on it to solve many of the points discussed on this article and hope for the next submission everything will be solved.